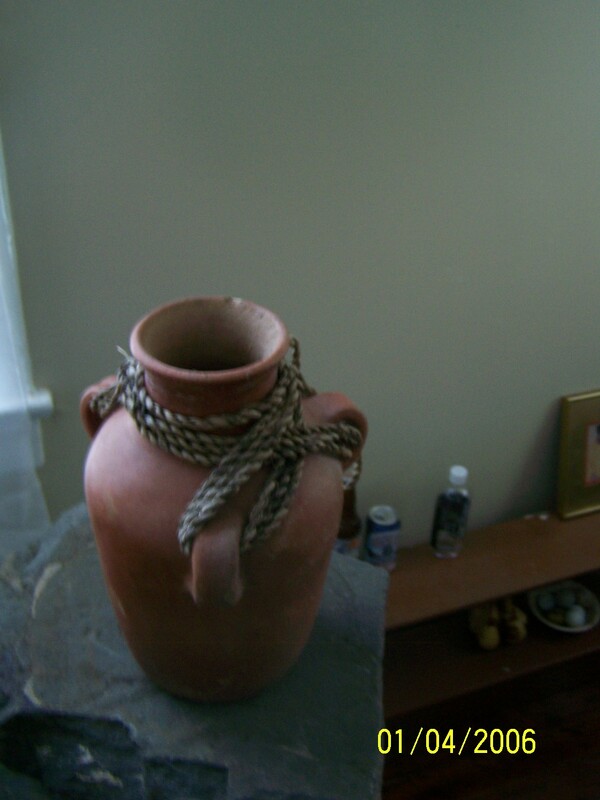 This terracotta vessel may be used as a storage vessel. It has 3, uniquely placed handles that give it the ability to be used as a transportation vessel. When the handles are roped it can be used as a back pack. When the ropes are removed an individual can drink directly from it. This vessel is under research by B.L.A.S.T. Museum Investigators and information will be updated soon. * B.L.A.S.T. Update…museum investagators are contemplating the creation of a new collection and transferring this vessel. It has been determined that this vessel can also be used to serve, and so it fits a new category of vessels.